Men are in crisis. 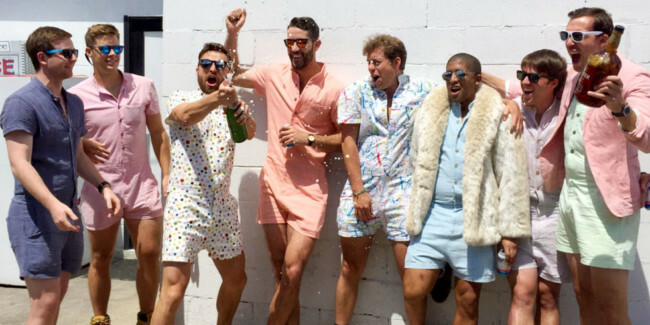 Following the man bun and undersized jackets that turns young men into Norman Wisdom tribute acts, the latest douchebag style is the male romper suit. 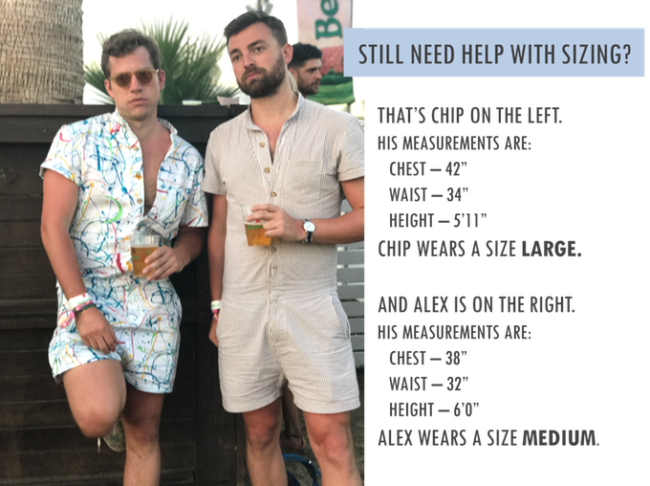 Called the RompHim (gerrit?! ), this cross between Doris Day’s pastel pyjamas and a baby-gro vomit will turn any man into one of the guys at the frat house. On Kickstarter, it’s positioned to be the next big thing in frat and post-frat culture. The bros are shot in their natural habitats—drinking beers, going to Coachella, etc.—and in colors close to their hearts. Think pastels, youthful prints, and at least one “America!” riff on the style. It is, say the creators of this chambray and cotton cry for help , a “revolution” in men’s styling – thus proving that not all revolutions are desirable.